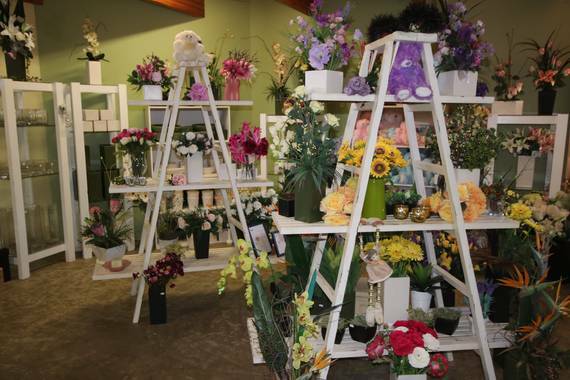 Franca at Myrtleford L’Amour Florist has over 30 years experience in floral designs and today stands as the only flora studios in Myrtleford. The store is situated on the great alpine road in Myrtleford and proudly services the district delivering to local hospital, age care lodge’s, surrounding area and the alpine region. Franca will always go the extra mile to create your floral gift perfect. Myrtleford L’Amour Florist is renowned for its excellence in creating unique floral designs for all occasions including corporate design, birthday wishes, get well, new born and sympathy/ funerals. Our large range includes beautiful silk flowers, Mor gifts, glass and ceramic vases, soft bears and helium balloons..
Myrtleford L’Amour Florist makes fresh floral arrangements and bouquets to order, according to individual needs from bouquets of cut flowers to arrangements for special occasions using fresh assorted flowers in a variety of colours. Franca’s speciality is weddings. From the small intimate celebration to the larger formal weddings , Franca can style and take care of all your special needs, bridal party bouquets, ceremony and reception flowers. Delivering to the local area from wineries to the mountains, Franca will arrange the ceremony and flowers at the venue. or visit Myrtleford L’Amour Florist at 161 Myrtle street, Myrtleford for that special occasion.